If your friend or family member is affected by a chronic condition such as psoriatic arthritis, you may find yourself wondering, “How can I help?!”. Similarly, if you yourself are affected by psoriatic arthritis (PsA), you may have friends or family who want to support you, but aren’t sure how. Based on feedback from the PsA community, we have compiled several ideas for supporting someone with PsA. 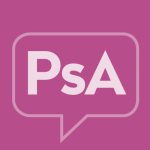 If you are struggling with how to support someone with PsA, or if you want your friends and family to better understand your PsA experiences, consider these tips and resources! Living with an invisible illness can be a rollercoaster both physically and mentally, making emotional support and stability one of the best ways to help someone with PsA. If your friend or loved one has PsA, it can also take time for you to learn how to help, especially when the person needs emotional support, rather than physical assistance. However, as described in our beginner’s guide to providing emotional support, helping a loved one affected by PsA starts with being patient, accepting uncertainty, and listening without providing judgment or pity. 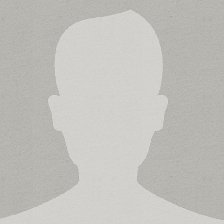 If your friend or loved one has PsA, you probably know that PsA is chronic condition. However, if you don’t have PsA yourself, you may not have considered what ‘chronic’ really means to a patient. After a PsA diagnosis, many patients need time to accept the chronic, lifelong nature of the disease, and if your friend or loved one has PsA, it’s important for you to understand what “chronic condition” really means. While you might not always say or do the right thing, understanding the long-term implications of PsA may help your loved one to better cope with the condition. According to the PsA community, the best support comes from people who listen, without judgement. When a person talks about their pain, experiences, or emotions, they are sharing deeply personal aspects of their PsA journey, making understanding, respect, and sympathy. If your friend or loved one is struggling with their PsA, they may find comfort in connecting with other PsA patients through a support group or community. However, even if you don’t have PsA yourself, a sympathetic ear may be the best way to support someone through their experiences. Along with emotional support, some PsA community members have shared that they appreciate practical or physical support in their day-to-day lives. For some PsA community members, it’s helpful when a friend ensures that the remote is close by on a flare-day, while for others, it’s appreciated when a friend or loved one opens up water or juice bottles, or plans a relaxing activity. While different people want different levels of help, finding small ways to make that person’s day easier may go a long way in providing them with the support they need. For many community members, it can be challenging to talk to family members about PsA. As described by the PsA community, there are many things that patients wish their families knew, such as how tiring PsA can be, and how simple tasks can be the most difficult. For some community members, getting the family to help with grocery shopping or cleaning makes a big difference, while for others, it’s helpful to just have family members ask about PsA. If your family members is affected by PsA, consider these tips for providing them with the love and support they need to manage their condition. If you are looking for ways to support someone with PsA, consider these resources for several ways to provide emotional and practical support. To learn more about PsA and supporting your friend or loved one, you can also check out our coping with PsA resources and connect with the PsA community for more ideas. My husband does MANY things to help, but one of the biggest for me, and easiest for him is he gets my coffee in the morning. When we first get up is the hardest part of the day, and just to be able to get up and sit in my chair for a bit with my coffee is a biggie!